Later today, maybe even by the time you get around to reading this, there will be real live full-fledged regular season basketball to watch. It’s a beautiful thing. As our last little bit of preview before we get into five months of madness (don’t let the marketing geniuses fool you into thinking that only happens in March), we’ll roll out three teams strong (and just five players per team – please take note conferences of all stripes) of All-Pac-12 personnel. Jahii Carson, Sophomore, Arizona State – Carson is a unanimous selection among our voters as the best player in the conference, topping all three ballots submitted. 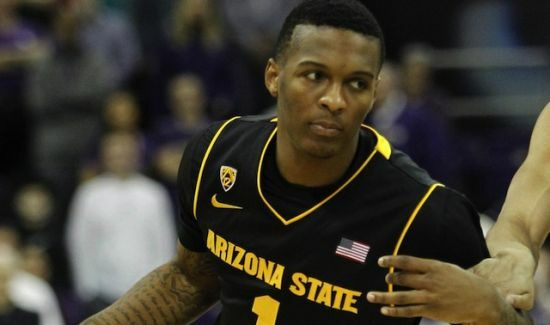 After averaging 18 points and five assists as a freshman, Carson is hoping an improved jumper, a faster tempo and a deeper roster will help the Sun Devils’ star wrap up his time in Tempe with an NCAA Tournament appearance. Spencer Dinwiddie, Junior, Colorado – Dinwiddie’s three-point percentage dipped precipitously as a sophomore, but his aggressiveness and overall effectiveness increased, as he turned into a significantly better finisher and play-maker in his role as lead guard. 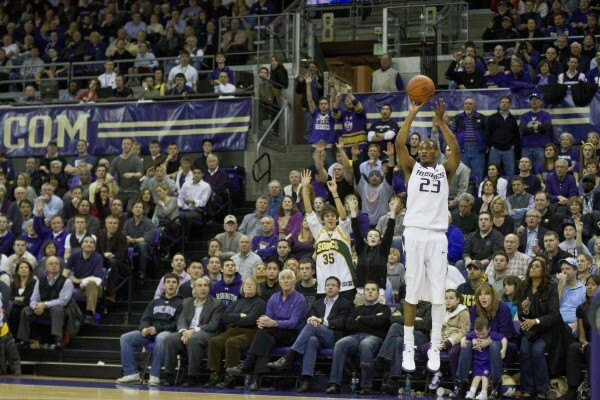 If his jumper from range returns to anywhere near his freshman year levels, watch out. Jordan Adams, Sophomore, UCLA – Even though Adams was clearly overshadowed by two, if not all three of his UCLA classmates prior to last year, the wing out of Atlanta was arguably the best of the group. He was second on the team in scoring, with 15.3 points per game, but brought along a game varied enough to have a positive impact even when he wasn’t scoring. Dwight Powell, Senior, Stanford – After struggling with nagging injuries and passivity his first couple of years on The Farm, Powell broke out in a big way last season, turning into a scoring forward who chewed up possessions with high efficiency. Capable of scoring inside and out, off the jumper or off the bounce and rebounding with the best of them, Powell could take a further step forward by expanding his range beyond the arc. Aaron Gordon, Freshman, Arizona – The most highly regarded recruit in the conference and one of the best in the nation, Gordon is an elite athlete whose ability around the rim and in transition could make him one of the most exciting players in the West. Although he’s dealing with a groin injury early, he won’t need a lot of time to adjust when healthy. C.J. Wilcox, Senior, Washington – Despite seemingly never being healthy during his career in Seattle, Wilcox has become one of the best scorers in the league. A deadly three-point shooter (his 36.6 percent rate last season was his first time at a sub-40 percentage), Wilcox has slowly but surely improved his game off the bounce, allowing him to get to the line and take advantage of his 80+ percent free throw shooting. Kyle Anderson, Sophomore, UCLA – After getting off to a slow start last year while playing off the ball, Anderson showed his varied skill set late in the year, turning into a solid rebounder for a team lacking a lot of frontcourt toughness. This year, he’ll have the ball in his hands a lot more and will get to show off his heralded play-making ability. Mike Moser, Senior, Oregon – Once an All-American candidate at UNLV, last year his game disappeared amid injuries and chemistry problems. Back home, Moser will now have a chance to finish his trail-blazing college career on a high note, since he’ll be counted on to be a major presence in a thin Ducks’ frontcourt. Expect big rebounding numbers and a solid scoring presence. Justin Cobbs, Senior, California – Senior point guard — are there three sweeter words to a head coach? Cobbs figures to be on the court a lot this year, and with an ability to score all over the place while still creating opportunities for his talented teammates, expect him to be right near the top of the conference’s assist standings. Roberto Nelson, Senior, Oregon State – After a pair of ho-hum years during his first two seasons in Corvallis, Nelson exploded last year, dropping 17.8 points per night and doing so in efficient fashion. With some of the Beavers’ best offensive weapons now missing, either permanently or temporarily, Nelson will be called on for even more in his final campaign. Joseph Young, Junior, Oregon – Both of Young’s first two seasons at Houston were very good, but last year was phenomenal. Shooting better than 87 percent from the free throw line, coupled with 42 percent from deep and very few turnovers, Young was one of the most efficient offensive players in the country. 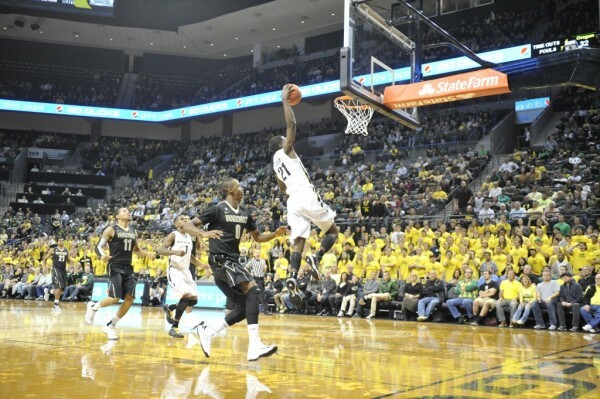 Damyean Dotson, Sophomore, Oregon – Like most freshmen, Dotson may have hit a bit of a wall in the middle of his first season on campus. But down the stretch he was a revelation, scoring in double figures in all six postseason (Pac-12 and NCAA Tourneys) games in which he played. While it would be nice to see him drop a dime every now and then, his credentials as a pure scorer can’t be argued. Nick Johnson, Junior, Arizona – He’s gone through a couple stretches early in his career where his jumper failed him. But unlike his freshman year, last year when that jumper dipped for a couple weeks, he was still able to have a positive impact elsewhere on the floor. An elite athlete and terrific defender, Johnson will be called upon to score more this year. Josh Huestis, Senior, Stanford – On the very short list for the title of best individual defender in the Pac-12, Huestis can do more than grab nine boards and block two shots per game. Capable of creating his own offense around the rim on putbacks and dump-offs, he’s also expanded his range to become a very reliable mid-range shooter, with occasional forays beyond the arc. Jordan Loveridge, Sophomore, Utah – A big body with a sweet touch on a team without many other offensive options? Yeah, expect Loveridge to notch double-doubles on the regular while leading the Utes to their share of surprise wins. This entry was posted on Friday, November 8th, 2013 at 2:20 pm by Andrew (@amurawa)	and is filed under microsites, pac 12. Tagged: Aaron Gordon, arizona state, c.j. wilcox, damyean dotson, Dwight Powell, jahii carson, jordan adams, jordan loveridge, joseph young, Josh Huestis, justin cobbs, kyle anderson, mike moster, nick johnson, roberto nelson, spencer dinwiddie. You can follow any responses to this entry through the RSS 2.0 feed. You can leave a response, or trackback from your own site.